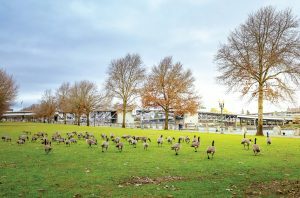 Pests, such as rodents and geese, have become problems in urban areas that municipalities have been grappling with for years. While pest control tends to fall under the parks department purview, other city agencies are also responsible for pests in the areas they oversee. “The city of New Haven, through individual city departments, maintains pest management contracts with local vendors to monitor and address the problem of rodents, bees and other insects, raccoons, skunks and other scavengers,” Laurence Grotheer, director of communications in New Haven, Conn., said, noting each department is responsible for controlling the pests in the areas that it oversees. Secondly, a hawk, a rodent’s natural predator, had lost its favorite tree nearby due to the tree’s disease and removal; however, the hawk has now been spotted just a few blocks away. A third issue is that individuals are littering, thus creating an easily available food source for rodents. 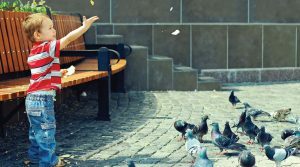 A common source of readily available food that many people may not consider is feeding the birds. 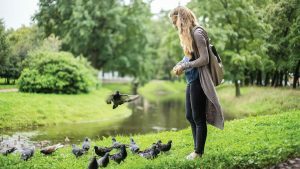 The city plans to continue an informal education campaign regarding littering and feeding the birds for those who continue to increase the availability of food for rodents. 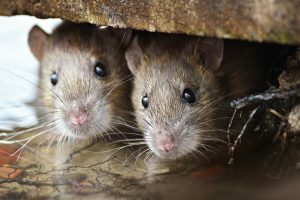 In order to work to decrease the rodent population, the city plans on maintaining pest control contracts, monitoring the situation and adjusting mitigation measures as necessary. Some of these mitigation measures include harsher penalties for littering, more frequent trash collection and more frequent use of pest control. These measures are used as the condition warrants. If a public health concern is present, then the health department will step in and investigate and make recommendations to solve the pest problem. Geese are currently the primary pest plaguing Mount Vernon, Ohio, parks. Lori Watts, administrative assistant to the parks department superintendent, discussed ways in which the parks department manages the issues with geese. The city currently practices multiples methods of keeping the goose population under control. “We are currently holding controlled hunts, doing egg addling, using dog decoys and a propane cannon to control the geese in the parks,” Watts said, adding that the city plans to continue these practices in the upcoming years and also views a goose roundup as a future possibility. Goose hunting takes place during Ohio’s normal three open goose seasons. These three seasons take place during two weeks in September, mid-October through mid-November and a late season in January and February. The parks department requires all hunters to possess all necessary licenses, have a retrieval method and possess all required safety gear. Mount Vernon has also had issues in the past with crows congregating and roosting in the public square. However, distress tapes, which are simply recordings of crow distress calls, were used to get rid of the birds and no further issues have presented themselves since.